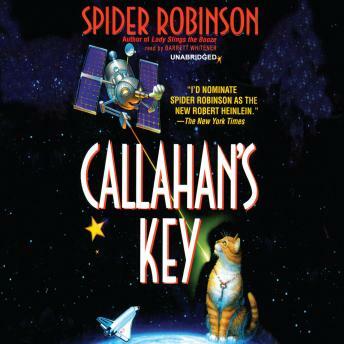 Nobody blends good science with bad puns as brilliantly as Spider Robinson. Now he's back with the latest chapter of the Callahan saga, an improbable tale of impending doom, a road trip, space, drugs, and rock 'n' roll. The universe is in desperate peril. Due to a cluster of freakish phenomena, the United States' own defense system has become a doomsday machine, threatening the entire universe. Only one man can save everything-as-we-know-it from annihilation. Unfortunately, he's not available. So the job falls instead to bar owner Jake Stonebender, his wife Zoey, and their superintelligent toddler, Erin, not to mention two dozen busloads of ex-hippies and freaks, Robert Heinlein's wandering cat, a whorehouse parrot, and misunderstood genius-inventor, Nikola Tesla, who is in fact alive and well.